Hey everyone, hope you are well. Today's manicure is one of my favourites of late and I'm loathe to remove it, if I'm honest with you. 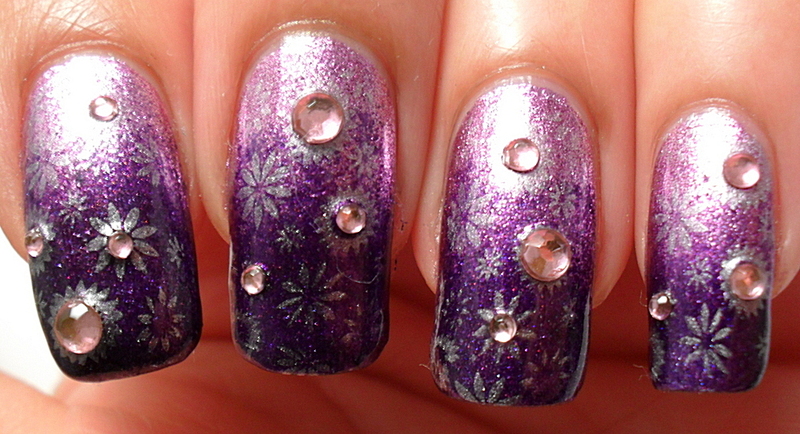 I enjoy doing gradients and sponging - mostly because it's pretty easy to do. 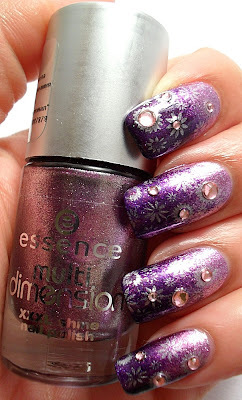 Essence's Purple Diamond, sponged with Rimmel's Pompous and stamped with Stargazer Silver. 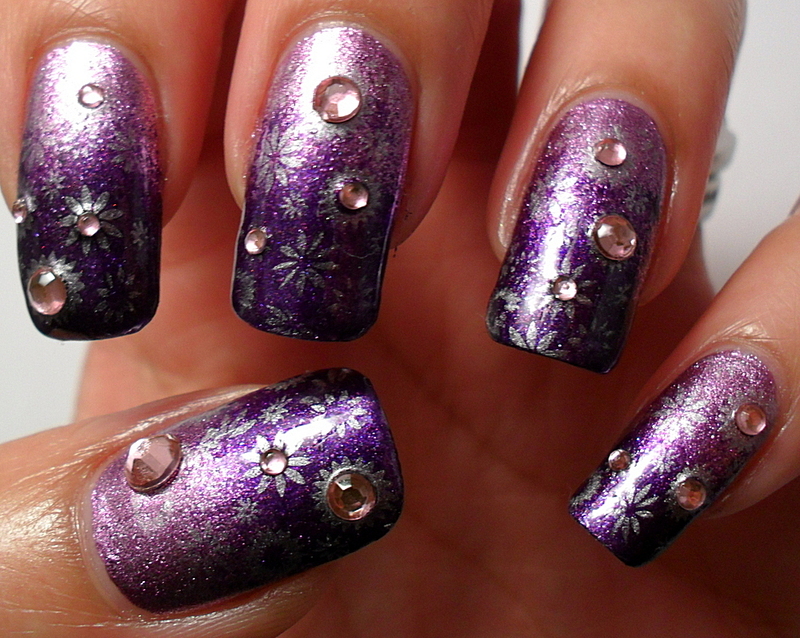 Pinks and purples are my most favourite colours to use for a gradient. 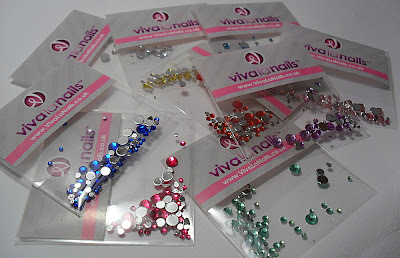 The rhinestones were a part of a sample pack that was available for review, provided by Viva la nails. I don't know about you, but whenever I use rhinestones, I find myself debating whether or not to use a top coat or just glue them on and go. Sometimes a top coat will dull the shine of the stones but failure to use one can also result in them falling off into your cornflakes at breakfast time. Not good for the teeth or the digestion. Luckily, after using a top coat with these, I'm happy to say that they are still pretty shiny. Good stuff. 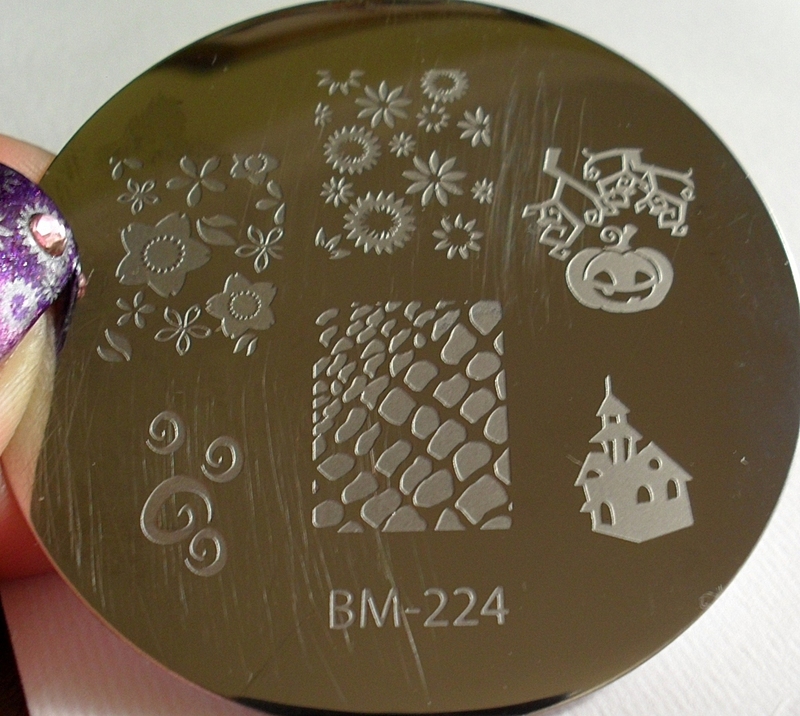 I have so many to play with and if you look closely, you can see that the stones come in three, if not four sizes. I wouldn't want to take it off either. That looks so great. The rhinestones are so cute! I like that they are different sizes. 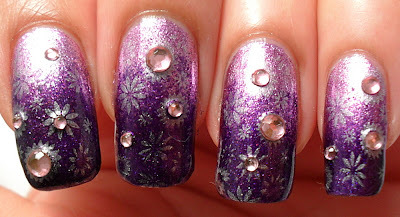 I love the stamping and the rhinestones, I'd hate taking it off too. I miss this mani, lol!